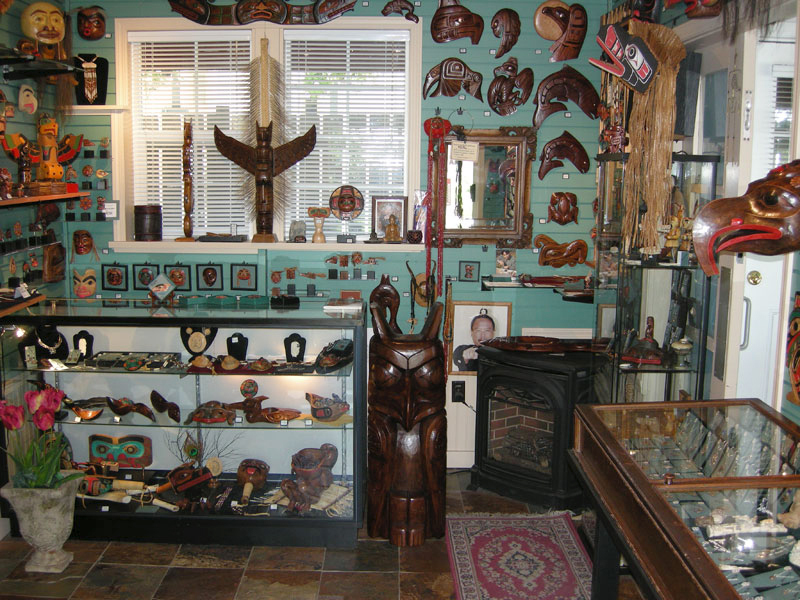 Coast Raven Design Studio Ltd. is a home-based partnership between Richard de la Mare and Artie George. We have both received numerous awards for excellence of craftsmanship. 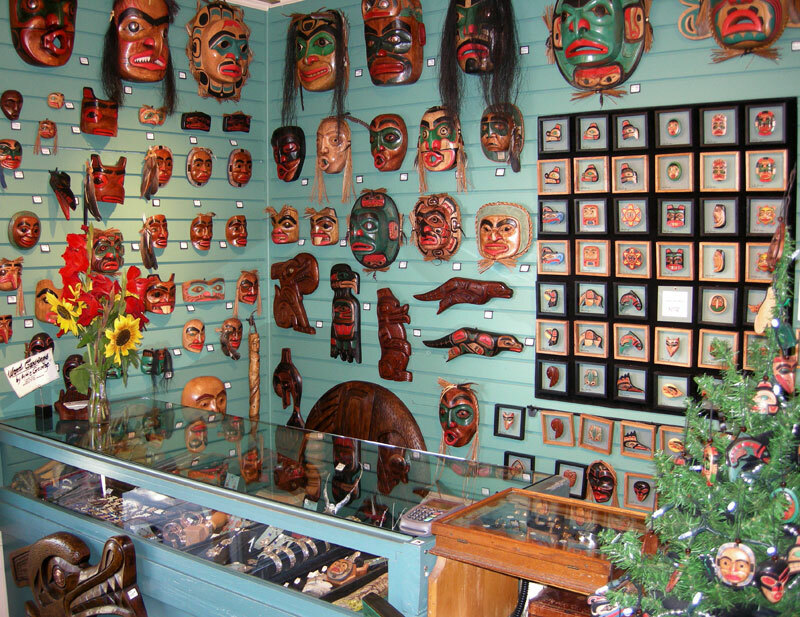 Together, we have participated in juried craft fairs and aboriginal gatherings across Canada. Our work can be found in collections around the world. I, Richard, opened Coast Raven in 1970 at my home in North Vancouver. Coincidentally, the same month and year, Artie was born. I began by turning my love for beads into colourful necklace and earring sets that I successfully wholesaled to Canada's Hudson's Bay Department Store, soon expanding to stores throughout North America. Thirteen years later, just as his older brothers and uncles had done previously, Artie arrived at my home requesting a part time job assisting me with my beaded jewelry. Working together, I quickly became aware of Artie's talent, which expressed a feeling of lightness, vision and warmth. I was deeply inspired by our connection, and since that day in 1983 our partnership has blossomed into what we both love to do today; Artie through his hands, returning life to an otherwise abandoned piece of wood; myself, still loving beads, now years into the pleasure of hand carving sterling silver and gold. Artie and I spend a minimum of 12 hours every day next to each other, meditatively sharing the joy of working with our hands.